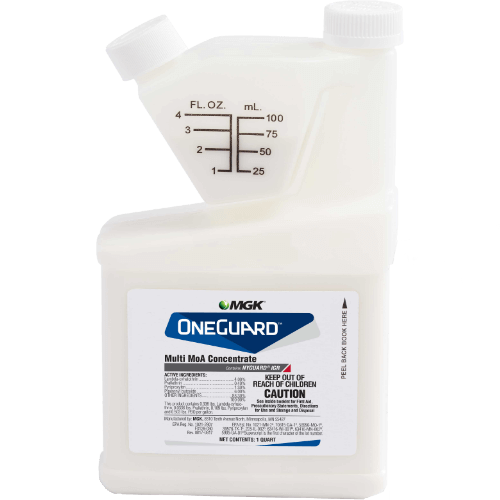 OneGuard Multi MoA Concentrate combines the power of a knockdown agent, long-lasting insecticide, synergist and IGR in one single product with controlled-release technology. The result is highly effective knockdown, kill and long-lasting control of mosquitoes and listed flying and crawling pests. Reference the product label for the full list of pests killed or controlled. No need to stand guard. Randy McCarty of ABC Home & Commercial Services and MGK team up to tackle mosquitoes. What package sizes are available for OneGuard? Where are common places for mosquitoes to breed? How does the Aedes mosquito species differ from other species?